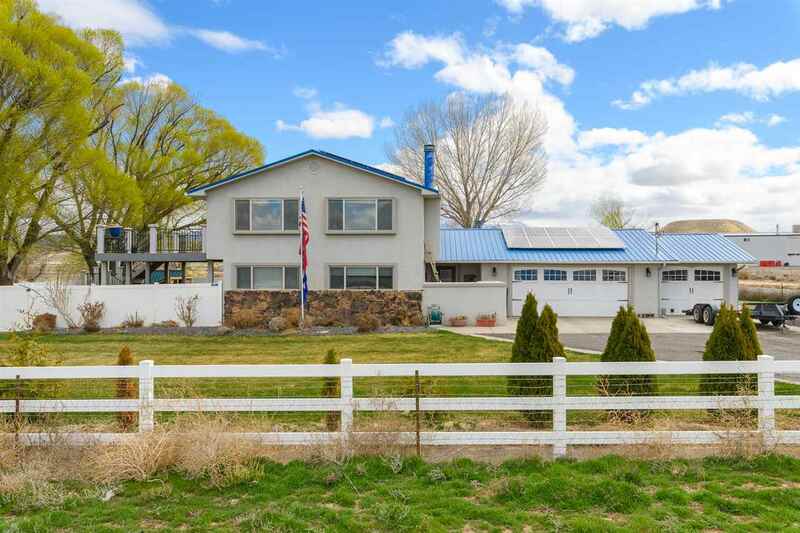 Gorgeous 360 degree views surround this home on 2+ acres - there is plenty of room to stretch out, park your toys and bring your animals! NO HOA! Spend crisp mornings and warm evenings on the patio and deck, take a soak in the hot tub. You will appreciate the updates in the kitchen, bathrooms, flooring and mechanicals. Move on in and reap the benefits of 30 solar panels on the roof, soaking up the sun and saving you $$ on utility bills. A 3 car garage and 2 large storage units are a plus - 2 living areas and the security system with equipment is included with purchase. Seller says book a showing and bring an offer!